This article originally appeared on LOFT Interiors. Furnishing a property does not absolutely guarantee that you will be able to charge more rent for it. In most cases you will be able to, but the difference is not as much on a monthly basis as you might expect. Having said that, some exclusive properties will almost be required to be furnished to an exceptional standard. As a rule of thumb, tenants usually prefer smaller properties such as one or two bedroom flats to be furnished, whilst larger houses, which attract families who probably already have furniture, are in greater demand when let unfurnished. But you always get exceptions to the norm, and you will eventually be able to find tenants for unfurnished small properties and furnished large properties. 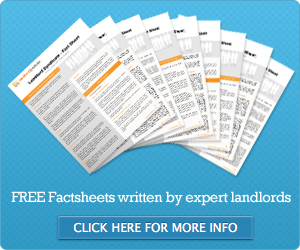 Legally there is no difference in the type of tenancy agreement. An unfurnished property will have only the bare minimum. This must normally include carpets or other floor coverings, curtains and white goods such as a fridge and freezer, oven and possibly a washing machine. You won’t get beds, lounge furniture or much else in an unfurnished property apart from the things already mentioned. With an unfurnished property, you will not be eligible for the 10% wear and tear taxation allowance. This is one reason why some landlords will part furnish a property as this then allows them the tax breaks. Furnishing the property usually gives it a broader appeal as there are generally more tenants looking for furnished property. ‘Furnished’ means different things to different people, with some properties that get let as furnished containing little more than the items mentioned above. Most lettings agents will indicate that the furnishings are somewhat sparse, by advertising the property as part furnished. The bare minimum is kitchen appliances, fittings and fixtures, curtains, carpets and beds and often lounge furniture. Then again, you can find landlords who will provide absolutely everything, right down to bed linen, kitchen utensils, cutlery, pots, pans, crockery, curtains, shelving units, bedside tables, a microwave, toaster, kettle, vacuum cleaner – basically everything you can think of that you would find in a normal home, apart from personal artefacts. The crucial thing is that a furnished property should be ready for immediate occupation. For this reason, they are often offered on an ‘as seen’ basis, which means that you get everything that is in the property apart from the stuff that belongs to the tenants. One of the major downsides to providing furnished property is the increased cost of equipping the property in the first place. This can add a substantial amount to the overall cost of the venture. Also, the higher the standard in the first place, the greater the cost of maintaining the standard. The 10 percent wear and tear allowance probably won’t be sufficient to cover the cost of this over a long period of time. You also have to make sure that all the furnishings and furniture is compliant with all the safety regulations, adding further hassle. If you decide to offer your property furnished, just how far should you go? If equipping the place out with every latest gadget is over the top, how much is the right amount? As with most things in the letting game, it depends on the type of tenants you are trying to attract. Unless the property is in a serious state of disrepair, it is usually inadvisable to put it through any major refurbishments. You rarely recoup the cost of the work in the rent that you can subsequently charge. The areas to which you should pay particular attention are the bathroom and kitchen. Tenants will usually want more scope to stamp their own style on bedrooms, which should generally be kept simple and inoffensive by landlords. If you intend letting your property to the professional market, you should aim to fit out and furnish to high quality standards. Some people may refute this, but our observations, experience and research all indicate that the more upmarket the furnishings and fittings, the better the standard of tenant you will get. While this doesn’t guarantee their behaviour or ensure that your property will be treated in the way you want it to, but it certainly can help. It can also help to minimise the length of any void periods, which as we keep reiterating, is one of the key factors in successful letting. Don’t furnish the property with second hand furniture. Not only will it start to look tatty pretty quickly, it is often below the minimum required legal standards. If you are furnishing the property do not leave anything of particular sentimental value for the tenants. Your grandfather’s antique rocking chair or other such item will not have the same emotional value to the tenants, so will probably not be treated as carefully. Similarly, unless you are aiming right for the high end of the market, you shouldn’t leave anything of tremendous value in the property. Damage and even theft do occur, and though you may be able to replace it through insurance, you could probably do without the hassle. You don’t have to break the bank to get the best out of your property. There are plenty of things that you can do at relatively low cost, which certainly make the property more attractive to tenants and may even allow you to bump up the rent a little. A power shower – Not always necessary with students (!!! ), but most professional tenants expect one of these and will not look to favourably on your property if it does not have one. Minor decorating – A fresh lick of paint needn’t cost the earth and can really give a new lease of life to a tired looking home.Painting the front door. Filling in any cracks in walls or ceilings. As when selling the property, particular care should be paid to kitchens, bathrooms, carpets, upholstery, and windows. Doing a spot of gardening. Maximising the feeling of space in the rooms by altering the layout of furniture. Carry out any running repairs that are needed to the property. Again, this is just the same as when you are trying to sell your property. Turn to Loft Interiors for our good advice on the style, type and standard of any fittings, furnishings and decoration that you should provide your property with.